The National Archives may begin releasing the classified documents within weeks—unless President Trump intervenes. 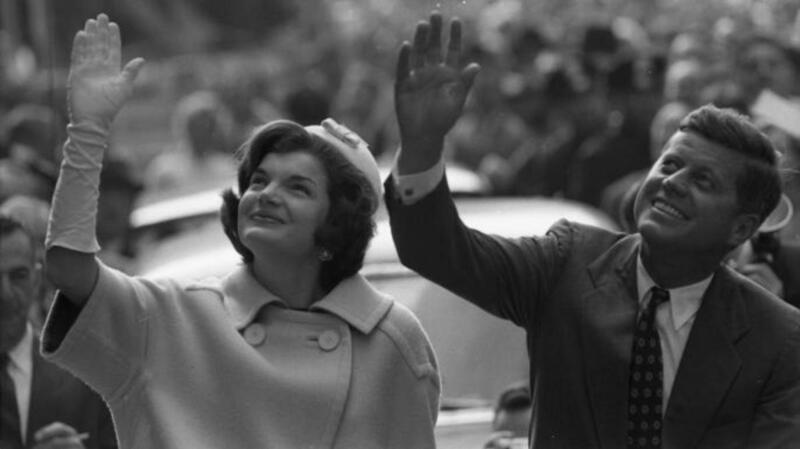 Jacqueline and John F. Kennedy during a 1960 campaign stop. Under the JFK Assassination Records Collection Act, which President George H.W. Bush signed into law back in 1992, the National Archives established a single collection of all records relating to Kennedy’s assassination. The law also set up a plan to declassify the records, stipulating that they would all be made public by the law’s 25th anniversary: October 26, 2017. But as Philip Shenon, a longtime New York Times reporter and author of “A Cruel and Shocking Act: The Secret History of the Kennedy Assassination,” wrote recently in Politico Magazine, the Archives could begin the process of releasing the estimated 3,600 files still under seal within weeks. 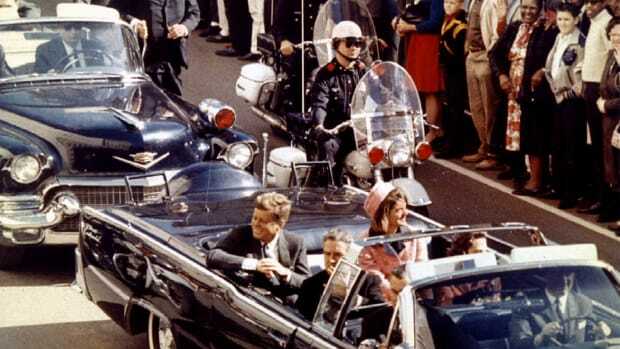 As most of the files come from the FBI and CIA, the hope is that some of them may shed light on whether those agencies missed evidence of a conspiracy involving Kennedy’s assassin, Lee Harvey Oswald. Martha W. Murphy, an official at the National Archives, told Shenon that researchers with high-level security clearance were working to prepare the files for release and hoped to do so in batches. The release process could start as early as this summer—unless President Trump steps in to stop it. 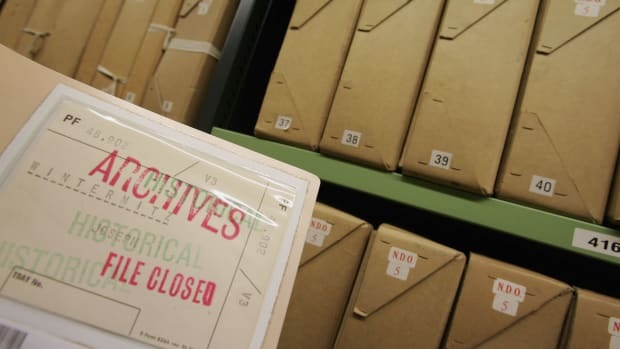 Under the same 1992 law, the FBI and the CIA can appeal to the Archives to keep the remaining files secret on national security grounds, but only the U.S. president can block their release. To do so, Trump would have to certify to the National Archives that keeping the records secret is “made necessary by an identifiable harm to military defense, intelligence operations, law enforcement or conduct of foreign relations,” and that the harm in question is greater than the public interest in disclosing the records. 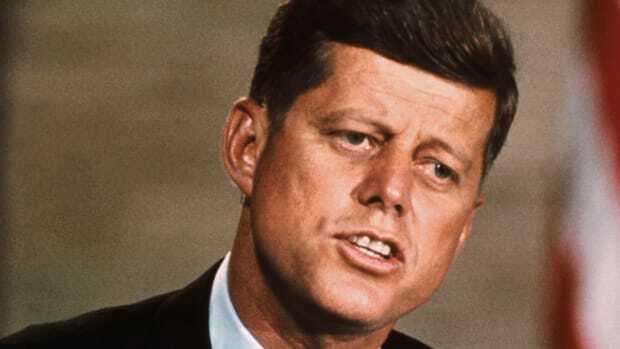 By the time the JFK Records Act was passed, widespread doubt about the Warren Commission’s conclusion that Lee Harvey Oswald acted on his own to kill Kennedy had endured for some three decades. Many people believed the government either didn’t know or was hiding the real truth behind the assassination, and conspiracy theories abounded (as evidenced by Oliver Stone’s 1991 movie “JFK”). 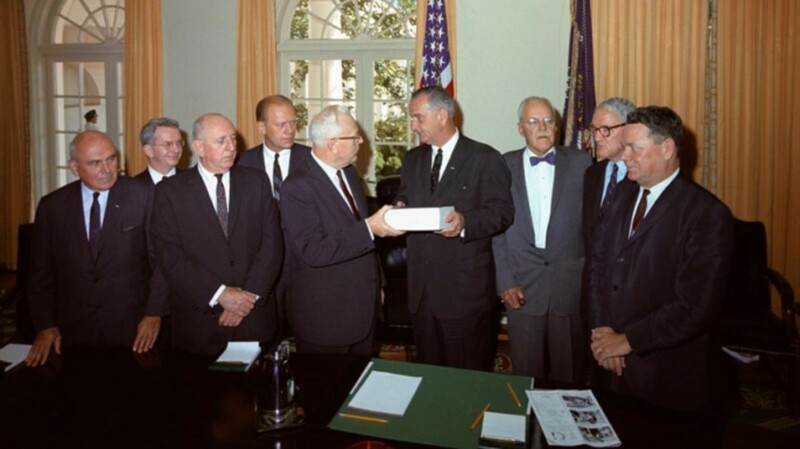 The Warren Commission presents it finding to President Lyndon Johnson. 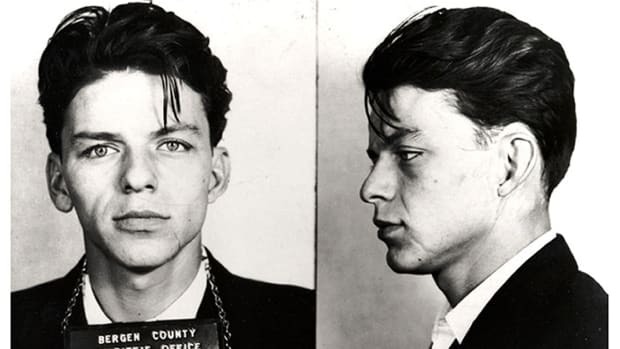 In an effort to reassure the public, the law established the Assassination Records Review Board to consider all decisions of whether to postpone the declassification of the records. By the time it concluded in 1998, the board had forced the release of thousands of previously secret documents from the CIA, FBI, Secret Service and other federal agencies, as well as congressional investigations into the assassination. 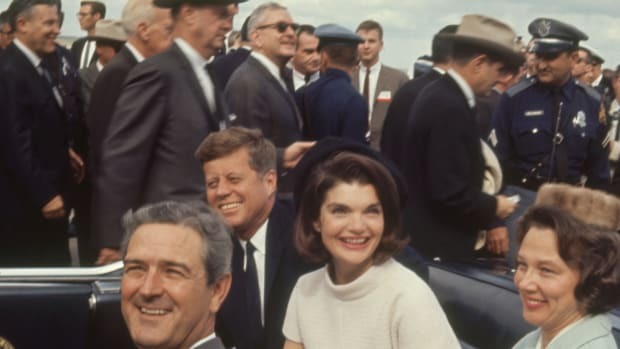 Some of these documents showed that evidence had in fact been withheld from the Warren Commission, presumably to hide the failure to detect—and prevent—a plot to kill Kennedy. 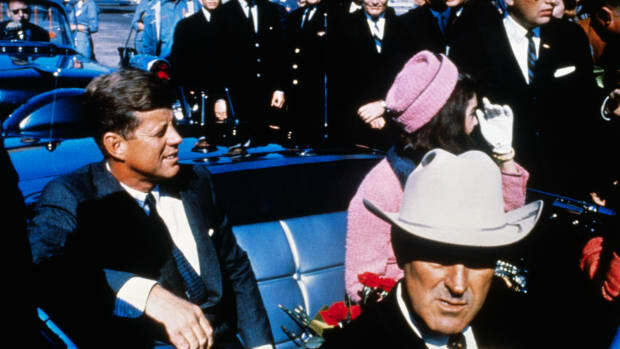 President Trump, who will now decide whether the public will get access to the last remaining secret files in the assassination records, is no stranger to JFK-related conspiracy theories. During the Republican primary campaign, he drew attention to a National Enquirer article suggesting the Cuban-born Rafael Cruz (father of Trump’s leading primary opponent, Sen. Ted Cruz of Texas) had ties with Oswald. The paper based its story on a fuzzy photograph of a man it said was Rafael Cruz handing out pro-Fidel Castro leaflets alongside Oswald in New Orleans. The Cruz family denied the man in the picture was Rafael, and said he had no connection with Oswald; no other evidence emerged to support the link. In fact, some of the documents set for release are believed to pertain to the theory that Oswald may have conspired with Cuban exile groups in the United States. According to an initial index prepared by the National Archives, the files include an 86-page dossier on an anti-Castro group in New Orleans backed by the CIA. Oswald, a devoted supporter of Fidel Castro’s Communist revolution in Cuba, appears to have tried to infiltrate the group to find out information that would help Castro’s regime. Also among the most eagerly awaited files in the soon-to-be-released trove are those involving Oswald’s trip to Mexico City in September and October 1963, several weeks before the assassination. While in Mexico, Oswald visited the embassies of both Cuba and the Soviet Union, after which the CIA put him under surveillance. What Are the Biggest Revelations in the Declassified JFK Assassination Files?